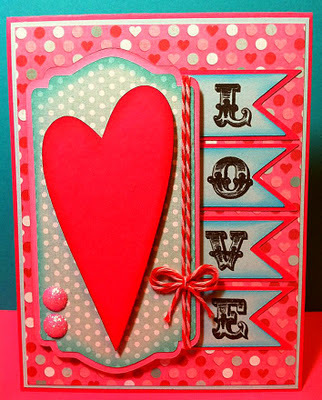 Paper Crafts by Candace: Love!! Happy Thursday! 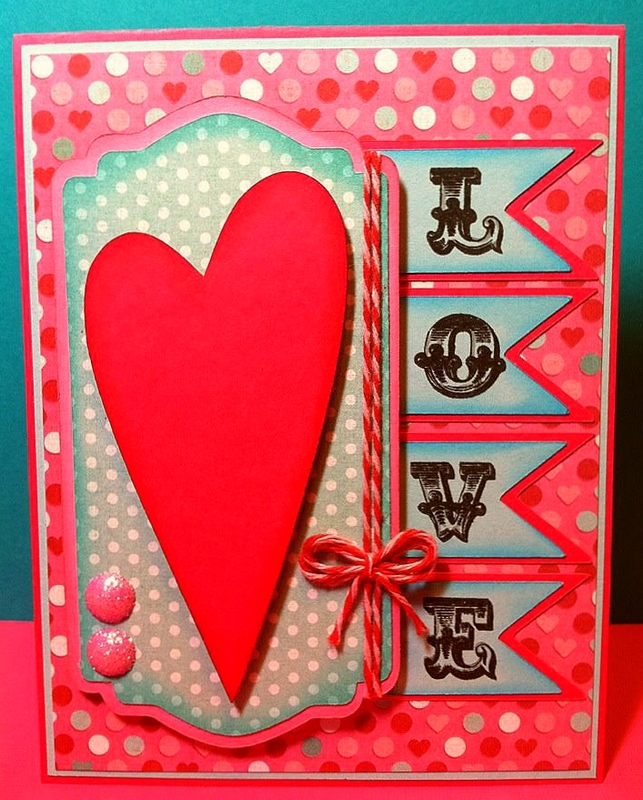 Today I wanted to share a card I created using the "LOVE" stamp from Jaded Blossom's Valentine Treats. The heart is cut from Sweethearts. The background its on is cut from Lucy Labels. The flags that "love" is stamped on was cut from Birthday Bash. 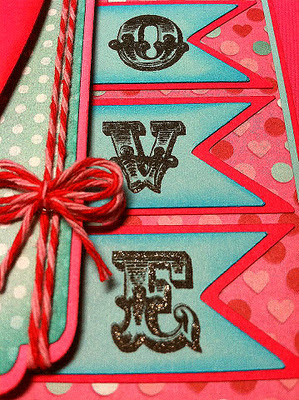 After I stamped the letters on the flags I used my glitter pen and added glitter over the letters. The twine used is from Trendy Twine. Thanks for looking!